This page is dedicated to Praying for Peace and also offers prayer support to all prayer requests. Maybe you have a prayer for peace that you would like to share with us. Please will you offer up your prayers for peace? 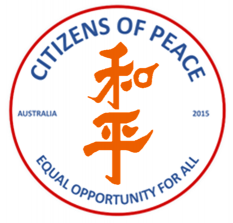 Citizens of Peace encourages all People to pray. Praying for Peace is praying for you. Will you join us in thanking our Heavenly Father, The Living God of all Creation, our Lord God Almighty, for granting us peace in our world? For what could be more holy of us? Than to live in Peace together brought about by us all treating and caring for each other the way we would want each other to be caring and treating each other, equally and all as one, delivering peace in our world, in our counties, in our communities, in our families, in our homes, schools and workplaces. And Peace in our hearts and minds in all that we may do, say and believe until the day of His return and beyond. We especially pray that the Peoples of this world will know, understand and experience the true peace which we have in God’s Dear Son, Jesus Christ’s revelation that Humanity can learn how not to be offended, to forgive more readily when we are, and so play our own part in His taking away the sin of the world, for sin is not imputed when there is no law. So we thank you for your Grace Lord and Your thoughts of Peace toward us that we be empowered to comprehend hospitality overcoming hostility as hope does judgement. As followers and friends of Christ, we know that the Peace which comes when we are pardoned by God is the single most priceless and precious gift that we could ever receive, surpassing even the understanding of all mankind, as the length and breadth and width of the love of God toward us is so immeasurable, forever-flowing. We particularly pray this, that all would receive the increasing of having the full blessing of entering into that Everlasting Covenant of Peace written in the Blood of Jesus Christ Lord and Saviour of us all, that our peace become Your Peace Lord and that all the world would know the Love, Kindness and Truth of Your Peace that You Lord Jesus Christ King of Peace have so generously poured out unto us. Lord change the desires of our own human hearts to coincide with the desires of Your Divine Heart and Will so we may become one in Your Kingdom Come and Your Will being done for You are our Peace and we Your Grace in the doing of Your righteousness Lord, in the doing of Your Peace, in the doing of your way Lord, in doing Matthew 7:12, which is to say, living in Love, living out Your Golden Rule of Peace. And the Saints cried come Jesus Come. Hallelujah! Hallelujah! Hallelujah!